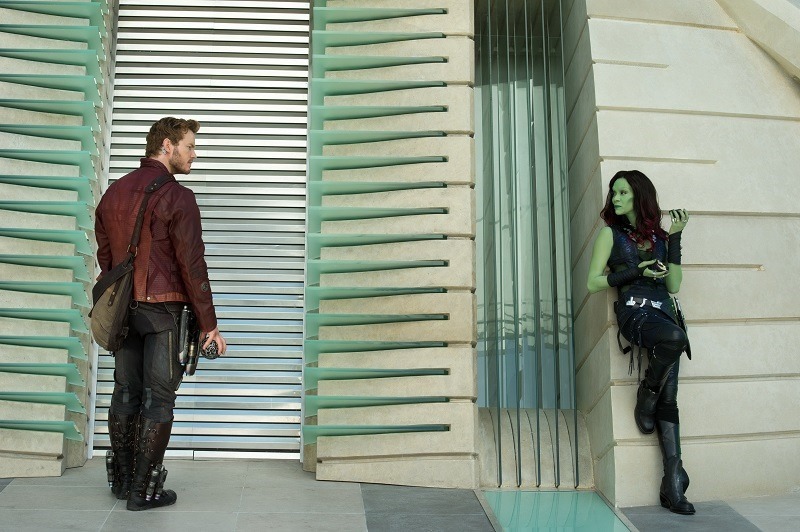 Star-Lord’s Pants: Trickier Than I Expected… | Becoming Star-Lord. Of everything I have to get together (besides the blasters), the pants seemed the easiest. At first. Chris Pratt…being a boss. This is a decent shot of the pants in good lighting. Fortunately, the boot covers conceal the bottoms leaving less exposed area to worry about. On to the pants. OH the pants! These things are a beast. So many details and multiple fabrics. 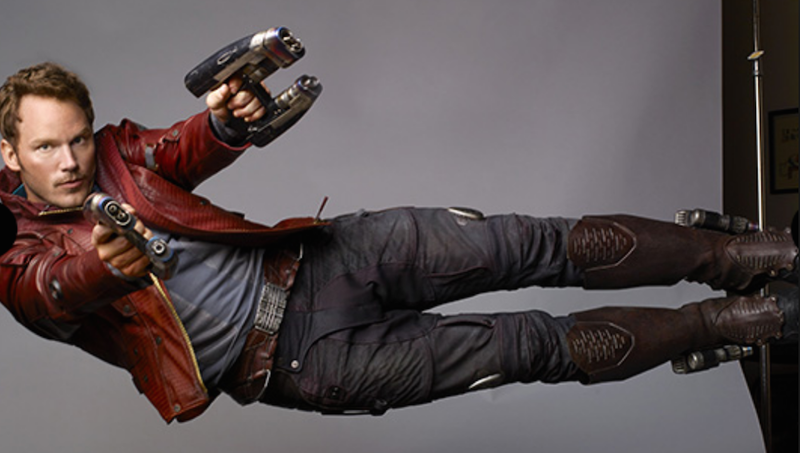 Luckily for me, I’m far from the first person to study Star-Lord’s outfit or to attempt to recreate it so all I need to do is follow someone else’s lead. 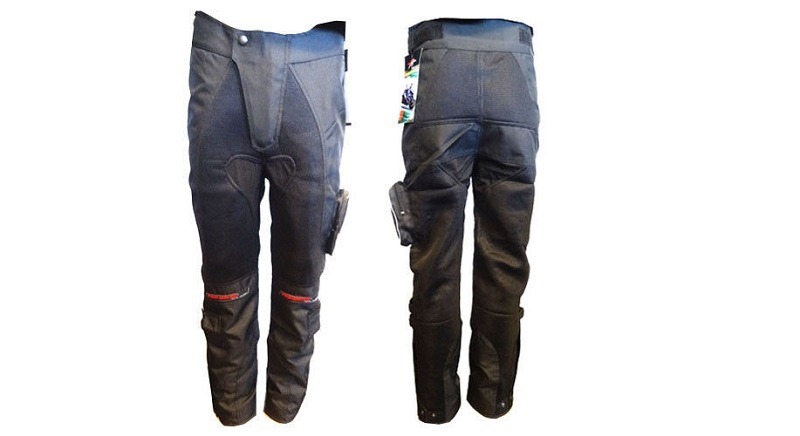 A few enterprising fans have paid for custom “from scratch” pants which, I’m sure, cost a pretty penny. This is money I’m not willing to spend with the punch-in-the-wallet coat still looming in my future. I absolutely do not have the skill to sew my own. I needed to find a close match ready-made. Fit looks about right. They have close to the correct groin snap thing (I’m sure there is a correct term…which I don’t know). Color, obviously, is good. The red should be easy to deal with. The biggest problem is material. I feel like there is a lot more leather to these than the authentic wardrobe pieces. Unfortunately, on a budget, these are as good as it gets. I may have to do a little customization, but these will get me most of the way. Hopefully. Ordered them yesterday and they are in the mail. Fortunately, the seller takes returns. This entry was posted in Pants, Props and tagged charity, cosplay, costume, fundraising, guardians of the galaxy, Marvel, pants, Star-Lord, Starlord, Superhero on June 10, 2015 by Liam. Hey Rick, thanks for the comment! Sounds like a great plan for the pants. I think they would work fairly well as long as they don’t appear to be too baggy. You can have that problem with BDU pants. Also, having the belt buckle loops will be great as the pants I worked with didn’t…until I added them. Please keep me posted on your progress! I would love to share some pictures of your outfit when you are done. Also, if you want to send some pictures of your work in progress to help others out, I could post those as well! Also, I think mashups are great. You know, the movie version of any characters simply the directors interpretation. I love that you are using the comics as well.